Twenty years ago, most of the dealmakers in the chain store industry were men. Business was conducted on golf courses, in restaurants and bars, at sporting events, and other venues of the “good ol’ boy network.” Cambridge Dictionaries Online defines a good ol’ boy as “a man from the southern US who enjoys having fun with his friends, and disapproves of ideas or ways of behaving that are different from his own (see also http://en.wikipedia.org/wiki/Good_ol’_boy_network). There used to be lots of great sites available and there was plenty of room for new chains, more stores, and more shopping centers. The “gettin’ was good” and naturally a lot of smart, ambitious women found their way into the industry (a great relief to men such as myself who were not part of the good ol’ boy network). But the women didn’t change the marketplace by simply joining the chain store industry. Between 1990 and 2005, the amount of retail space per capita in the U.S. doubled, from 19 to 38 square feet per person. In contrast, European countries generally have less than 10 square feet per person. The American consumer worked hard to support these establishments, but saturation was inevitable and arguably happened well before the 2008 economic meltdown fueled by the home mortgage debacle. Now everyone is suffering: men, women, chain stores, shopping center owners, brokers, and consumers. It’s probably not even as much fun to be a good ol’ boy. Back to “What Women Want.” For those who didn’t see the movie, Mel Gibson plays a chauvinist advertising executive who excels at creating seductive copy to attract men. He has a freak accident in the bath tub and is electrocuted by a hair dryer. The next thing he realizes is that he can hear women’s thoughts in his head as if they were speaking. Let’s use this as a metaphor for the chain store business. The good ol’ boys (and girls) were having a field day building shopping centers and opening stores until there were too many stores. The “freak accident” was the amazing development of social media that allow us to hear what the consumer really wants. We used to think they were saying “give me more stores, I love to shop!” Now we hear them saying “I want quality at an affordable price with great service available through multiple channels including stores, my desktop computer, and my smartphone.” We hear them saying “I love this brand” and “don’t go near that brand” and the whole time they are talking to each other and causing a herd response that can make or break businesses overnight. The good news is that social media have “democratized” the chain store world. The good ol’ boy network may still exist but only a fool would expect to make a living from that network alone. The bad news is that we all work for the consumer now. We are servants, not masters. We must listen and obey and quietly suffer when we are rejected or ignored. Actually, that could be good news too (it builds character, which everyone can use). 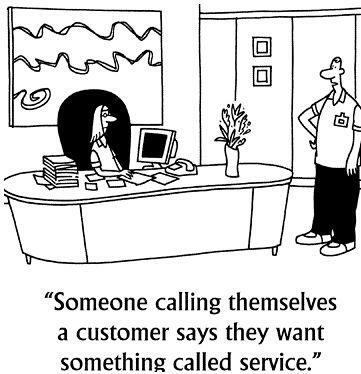 The “customer-centric” model has come of age. Chain store operators have traditionally had a world view with the store at the center and potential customers distributed by type (shoppers, workers, residents) and distance. Consumer decisions are not simply based on geographic proximity to stores, although that will always be a key factor. The new consumer starts with a smart phone or PC to find products, stores, and opinions about both before deciding where to shop, which might be online or in a store. Retailers can influence this process by having great products, powerful branding, convenient locations, and world-class service. The next wave of marketing, which is already happening, is location-based advertising and promotion via smartphones. As you walk by the store, you could receive a message (that you have authorized) that offers 20% off on merchandise that interests you. Will you go into the store and buy? Were you on your way to a competing store that sent you a coupon via email? This is what women want. This is what everybody wants! This entry was posted in Decision Making, Learning and tagged chain store, customer, good ol' boy network, multichannel, ominchannel, Retail, social media by Jim Stone. Bookmark the permalink.